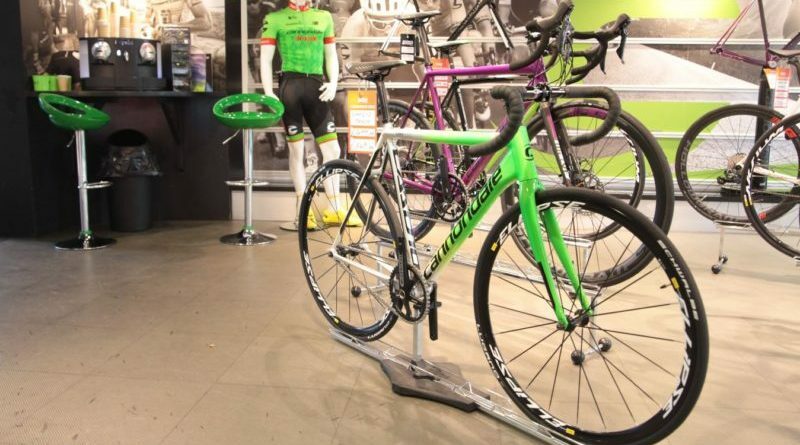 Ask the trade: What are the main factors in choosing a bike brand for your shop? How many times have you changed your bike brands in the past five years? We went single brand 18 months ago, with a few key products from others to complement our existing range. We haven’t dropped any brands to favour another though. The top three I’ve not changed; if you look at GFK’s sales data you wouldn’t not get rid of these brands. Giant and Specialized have over 50% of the over £3,000 bracket. You make some pound notes, but the margin comes from the bread and butter stuff. Because the marketplace has very little data people are not aware of what sells. If you know what sells you can informed buying decisions. The data from the Dutch market is incredible, down to the top 25 models sold by units and average retail price actually achieved. If GFK can get to grips with this in the UK we’ll be on to a winner. Coming from the car trade, you can better see the numbers due to the need to register vehicles. In March, 40% of Giant road bikes sold were actually the previous years’ bikes. On one online giant with discounts galore I can currently see 434 2017 bikes live and it’s April. That’s a lot of stock kicking about. If you know there are no sales then the last thing you want to do is discount, but when there’s no visibility in the market people in the market panic. On electric bikes, everybody wants them to be massive, too much stock is brought in that won’t sell, then the end of model year comes and it undermines the market going forwards. Our ‘Core’ brands are the same as when we opened, but our niche brands change relatively regularly. We’ll typically give a brand a good 12 months or so of profile in-store before we think about cutting them loose. Only once or twice have we thought ‘this was a mistake’ right from the off. Often this is to do with the brand itself and how it is run, rather than the product. 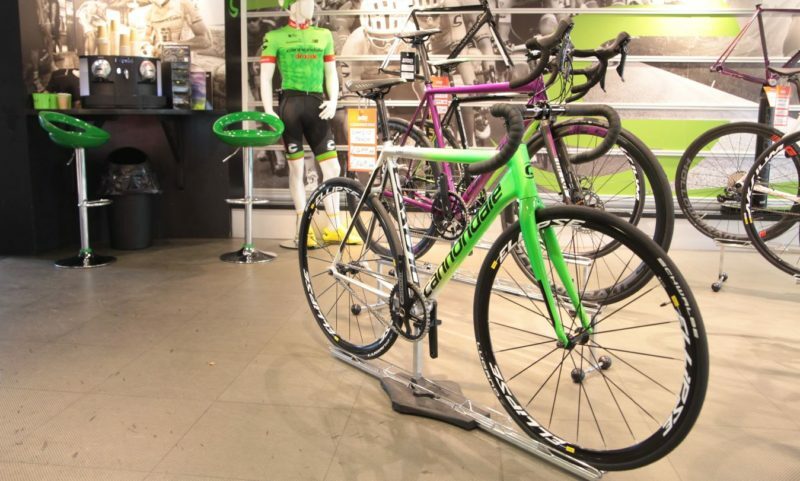 Our core brands Cube and Cannondale have remained the same and last year we added Specialized. We have experimented with five niche brands that were nice to have, unfortunately they did not return a high enough volume of sales to make them worthwhile, in a lot of cases we ended up clearing niche stock online and through eBay as a last resort. 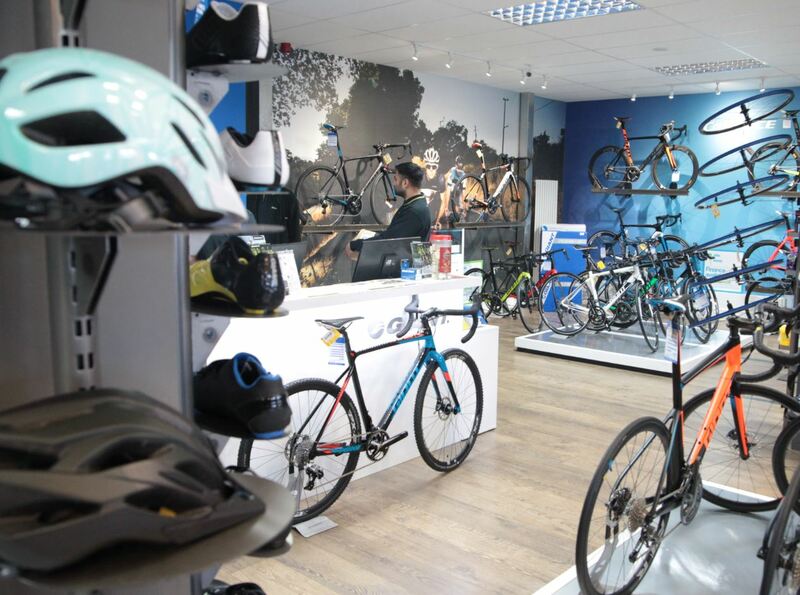 Our mainstream brands Cube, Cannondale and Specialized have proved to be profitable. What were the primary reasons for changing bike brands? There’s many reasons; product range, availability, marketing, how well a brand manages its distribution – all this must be considered. There is no perfect brand, it’s ensuring that the brand to retailer relationship is strong and that both understand each other. 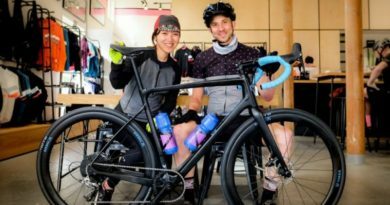 New people that have come in haven’t understood how the bike business works, which has muddled things for others in the trade. You can’t come in and just pick up the best brands. If you start from scratch you have to find new customers and convert them to the brands you take on. Nobody spends money marketing, however. 25 years ago customers wandered in and if they liked you they may buy the brand you’re selling. The headline brands are those spending the most on marketing. If you don’t have those three top brands you’re fishing with sub brands and hoping it works. It can take years to develop. When you say to the rep I don’t want the new stuff because they old hasn’t sold, they’ll talk you round and then you’re stuck again. As expansion of cycle shops slows you may see a retreat of sub brands. Mostly it’s market demand, other times it’s price or availability, sometimes it purely comes down to a brand bringing out a great bike and capitalising, or just having a stinker of a year. Typically the brands that end up rotating have small product lines and can rise and fall based on one or two bad choices. We’ve had discussions about dropping brands because their best-selling line now comes in a terrible colour choice. We wanted to add flavour to our offering and try something new to keep our customers engaged. Have brands ever pressured you with unrealistic sales targets, or unfairly impacted your territory holding? 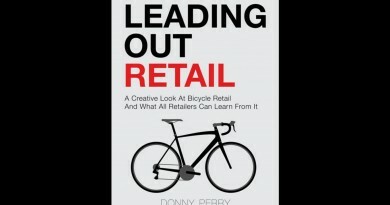 There are always unrealistic expectations; not just from brands or distributors, but from retailers as well. Everyone has sales targets, if you were to look at the growth in targets and compare them to growth in market size there will always be a disparity. Yes and I stopped dealing with them immediately. When you work in a cycle shop and you are mining the coal, when it comes off the coal face wet it will not burn; it doesn’t matter how good your sales staff are. We’re of a size that means we can throw weight around, but I know dealers who have been pushed into huge buy-ins and struggled thereafter as a result. I’ve been threatened by reduced margin just this week, but I already don’t make enough, so it’s not much of a threat! On occasion it’s been threatened, but sometimes deservedly so. I think, in this day and age, you’ll be asked to be brave with ranging, but you’ll get more support for doing so. I think if you give a brand fair representation in store, you know and like the product, you market it well and it doesn’t work out as you hoped, brands will work with you. If you ‘stock in’ a brand, sell through your stock and then continue to try and call yourself a ‘dealer’ with no range to present to customers and said brand identifies another dealer within your territory that they feel is going to do a better job then you will probably lose it. I think in this instance loyalty is a two-way street. Our suppliers work with us in the majority of cases. The switched on brands realise the value of floor space over unrealistic pre-orders.